Got a question? We have answers! View frequently asked questions regarding song choice and contestability as well as general FAQs below. What makes a song contestable? For an in-depth answer to this question, please visit our Contests & Judging page. Melody has to be predominantly in the second voice (Tenor II). A harmonic structure based on major tonality, using mostly diatonic and secondary dominant progressions. A cappella performance of four distinct vocal parts singing similar rhythms and similar, understandable lyrics. Harmonizations based on jazz concepts, counterpoint structures, or anything like Eric Whitacre. Any form of instrumental support or accompaniment. How do I assess the suitability of a song for my students? Beginning ensembles will find quick success with arrangements that feature simple rhythmic treatments, a mostly homophonic texture, and an accessible tessitura. How can I adapt a TTBB arrangement for SSAA or SATB? These arrangements can be transposed upwards anywhere from a minor third to perfect fifth. You may discover certain phrases that may need to be revoiced as the ranges for TTBB to SSAA are different. This adaption requires switching some of the voice parts. The entire arrangement might need to be transposed down a half-step or a full-step. The Lead (Tenor II): This part should be given to the Sopranos and transposed up an octave. The Tenor (Tenor I): Most of the time, this part can be kept as written and given to the Altos. The Baritone (Bass I/Baritone): Most of the time, this part can be kept as written and given to the Tenors. The Bass (Bass II): This part should be given to the Basses as written. Depending on tessitura the barbershop Tenor and Baritone parts may need to be switched between the Altos and the (SATB) Tenor. If this switch is made be aware of certain notes that my now be out of your singers’ range. Revoicing may need to occur. It is not advisable to adapt a typical, barbershop quartet arrangement for less than four voices. How do I prepare my students for the the BHS scoring process? The BHS contest process is not unlike what you have experienced in your Large Group Festivals, Solo and Ensemble Festivals, Heritage/Music In The Parks Festivals or other adjudications/contests where you may involve your ensembles. Your ensemble will be placed in a schedule and you will perform for judges. Prepare your ensembles as you would for any other festival. Diction in the barbershop style is a casual style of conversational, American English. It is not formal choral diction (ala Robert Shaw). At the conclusion of the event the BHS does offer an opportunity for you and your students to receive time with one of the judges for a discussion of your performance and suggestions for improvement. Can I use a video and score from a BHS Fall District contest for my entry? Yes! If the contest performance is recorded and judged between August 1-December 1, 2018, the video and score can be submitted as your entry for the 2019 contest. Do I have to record my quartet’s entry video at a BHS event? Entry videos may be recorded at any performance with an audience. It does not need to take place at an official BHS event. Of course, BHS audiences are always welcoming and enthusiastic, and that energy can add to your enjoyment and success. BHS events also provide opportunity for coaching, the chance to see other great performers, and the fun of casual singing after hours. What songs should we sing? 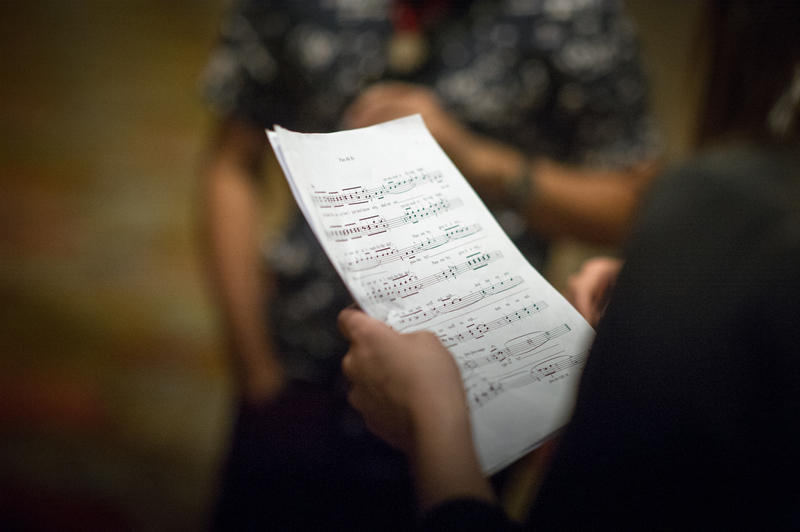 You may sing music already approved for your State Solo & Ensemble Contest that fit the contestability requirements outlined above (see FAQ "What makes a song contestable? "), or songs your chorus has prepared for the Next Generation Chorus Festival. You can also check out our Suggested Song List for more ideas. Why are events split by age? In part, we are responding to concerns that younger voices cannot fairly compete with older singers. There are also differing performance levels for these age groups that can be discouraging under a single contest format. In the Junior division, quartets are competing with their peers and within a modified scoring system that is comparable to their experiences in Solo and Ensemble or other scholastic competitions. The transition to Varsity introduces the BHS scoring system and contest culture, creating a bridge to the Open contest. Offering Junior activities at Midwinter Convention and Varsity activities at the summer International Convention keeps each event focused on peer age groups, and allows for expanding the total number of participants for each. What do U18 and U25 mean? Patterned after typical age range designations for youth sports, we are using U18 to mean 18 and Under. U25 designates 25 and Under. Both refer to participant age at the time of the contest. Why is there is some age overlap between U18 and 18-25? The age ranges intentionally overlap at age 18 to accommodate the transition between divisions. Graduating seniors competing with their school groups and college-aged singers wishing to continue on with an older quartet can each participate in the division that fits their quartet. Quartets with any member 19 or older must compete in the Varsity division. Why do some activities include mixed-voice and female ensembles, and others are male-only? The Next Generation Barbershop program is intended to offer multiple paths into participating in barbershop music and culture, with distinct approaches for different ages and levels of experience. At the high school level, a common mandate for choral programs is accommodating the participation of all singers. By including mixed voice and female ensembles for the past few years, we have made Next Generation Barbershop easier to implement for a school music program, providing opportunities for all students to participate… a must in order to appeal to music educators and their school administrators. The 2019 Junior Chorus Festival and Junior Quartet Contest will include recognition for male, female, and mixed-voice ensembles. The Varsity program is aimed at being an entry ramp to the BHS culture and contest system, usually for more experienced singers and more mature voices. It is adjudicated under standard BHS contest rules, which presently are used only for male ensembles. As the BHS Contest system evolves to accommodate women as full BHS members, the Varsity Quartet program will at some point expand to reflect these changes. 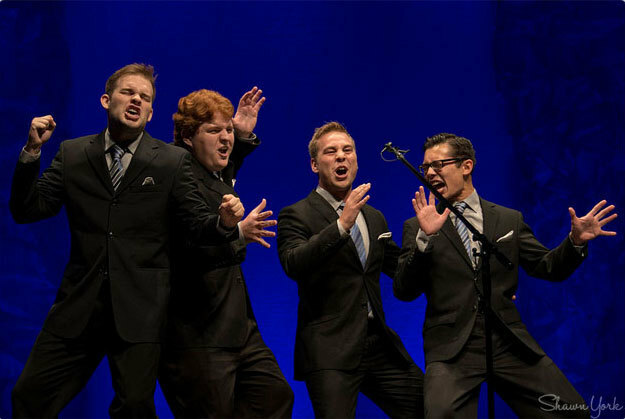 The 2019 Varsity Quartet contest will accept only men’s quartets. The 2019 Varsity Chorus Invitational will be presented in Festival format, and is not adjudicated under BHS contest rules. The 2019 Varsity Chorus Invitational will be open to male, female, and mixed-voice ensembles. Standard BHS scoring: Adjudication under standard BHS three-category scoring system (Singing, Music, Performance), 100 point scale, by BHS Certified judges. Festival rating: BHS adjudication system, with published ratings more closely aligned with state high school music festivals. Ensembles are rated as “Good • Excellent • Outstanding • Superior” without specific numbers or individual rank ordering. Presenter’s Award: Special recognition by distinguished musician/expert serving as presenter of the event, under presenter’s personal criteria. Audience Favorite: Balloting by event audience. Why are the youth programs changing again? Next Generation Barbershop is a comprehensive program that provides a multi-staged and age appropriate experience, consistent expectations for performers, and a clear pathway from youth to adult opportunities. Aligning activities by age group at separate events helps achieve that, and solves a number of logistical and administrative issues as well. With the introduction of Next Generation Barbershop, we expect these newly aligned activities to lock in and reduce growing pains in the coming years. There may be minor adjustments, particularly for the new events after the initial year, but we expect the basic program structure, registration process, and timelines to stay consistent for the next several years. Our goal is to make Next Generation Barbershop sustainable, scalable, and explainable. Why is the entry deadline for the Varsity Quartet Contest so much earlier? With an earlier entry deadline of December 1, 2018, there is much greater opportunity to fully prepare for the finals in July. Quartets are encouraged to attend Spring District Conventions to be judged for evaluation and receive additional feedback and coaching en route to the big show — and to build their fan/support bases as well. Why has the pricing changed for the Junior Chorus Invitational? In its earliest years, the Youth Chorus Festival was an unproven concept, and the generous subsidy of full registrations and lodging was a persuasive marketing tool. Ten years later, we do not have room for all the choruses interested in attending–a great problem! Proven demand for this activity makes it possible for us to expand its reach by offering two events, and making then sustainable going forward through a low chorus registration fee and attainable per-singer charge. For the value received, Next Generation Barbershop chorus events are desirable festivals that are competitive in the market. Every minute is filled with education and singing; this is not a vacation trip plus a few minutes of singing. Educators can proudly point to the world-class clinicians, extensive education offerings, and memorable group performances to fully justify the time and expense.